Author: IUCN. (1999). (L. Aguilar Revelo, G. Briceno, I. Valenciano, E. Chacon, & L. Simmons, Authors). The goal of this series is to ensure that projects achieve greater equity in regard to participation by women and men in the decision-making process as well as in accessing services, goods, and resources. 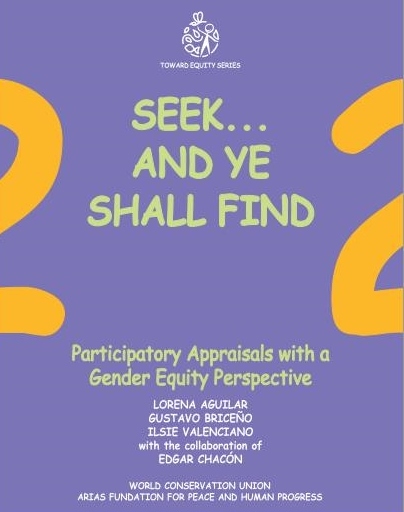 This module outlines the various approaches, presents the theoretical elements, describes steps, and presents examples of tools that can be used to carry out a participatory appraisal with a gender equity perspective.